Can KPMG’s Miss Fixit really fix it? The story of the suffering of black women in corporate South Africa has become a daily diet to which many of us have grown accustomed. Your article on KPMG’s chief executive and her ability to turn around the fortunes of this multinational company reveals the extent to which black women in corporate South Africa still have to prove their worth as leaders in their own right. 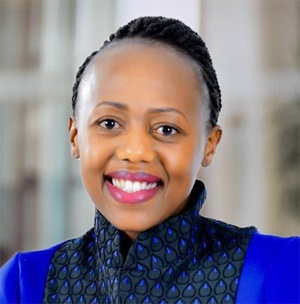 As a black South African myself, I fail to understand why KPMG thought it was necessary to send a team from abroad to sit with Nhlamulo Dlomu in conducting a basic media interview (with City Press) on what her future plans are for this company. Dlomu is an experienced business leader in her own right who should be given the space to deliver on things she was appointed to deliver on which, in my view, include ensuring that KPMG survives and continues to be an important player in corporate South Africa. That she had to be joined in the interview by a crew from abroad tells a story of how black female business leaders continue to be undermined and subjected to humiliation. READ: Can KPMG’s Miss Fixit really fix it? If anything, KPMG should give Dlomu the space to do her work to the best of her abilities and not be subjected to this kind of nonsense. I do not know her personally, but I want to believe that she is an accomplished business leader in her own right and she does not need any baby-sitting. With the mess that KPMG is in at the moment, I think it is only appropriate that Dlomu is given the necessary space to do what she thinks needs to be done and save the business where she can. The fact that she is not a chartered accountant should not be an obstacle. All that needs to happen is for her bosses abroad to accord her the space to work, respect her as a leader in her own right and provide her with the necessary support. There are many meetings which she is going to have in her tenure as chief executive and I am sure she does not need an army of people from abroad to baby-sit her. Racism and patriarchy in society and in corporate South Africa need to come to a stop at some point. The sooner we get this right, the better. Our boardrooms can become decent spaces for black women to realise their full potential.